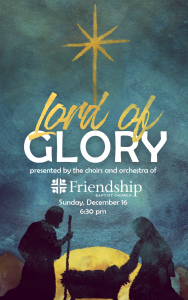 On Sunday evening, Dec. 16 at 6:30 pm the choir, orchestra, junior choir, and accompanists of Friendship Baptist Church will present the Christmas musical, “Lord of Glory” by renowned composer Dan Forrest. This is an excellent opportunity to celebrate the incarnation of Christ with family and friends. It is also a wonderful time to invite others to join you for a great exposure to our church ministry. The musicians have spent months preparing the beautiful music. Not only are the songs beautiful in their sound, the texts are equally wonderful and carry the message of Christmas in a clear and moving way. 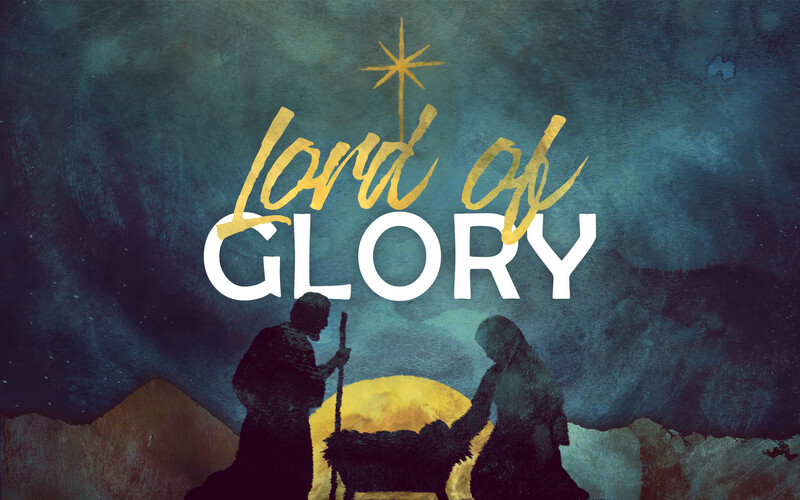 In addition to the music, readers will present carefully selected Scripture readings that tell the story, not just of Christ’s birth, but of the true significance of his person, life, and work. Plan to join us afterwards for light refreshments and fellowship in the Welcome Center. You won’t want to miss this joyful celebration!